Cash-rich oil majors are set to go on an epic buying spree. In the process, they are going to create a huge investment opportunity. 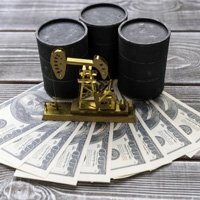 Small oil companies have become attractive takeover targets because they have something that oil majors like Exxon Mobil Corp. (NYSE: XOM) and Chevron Corp. (NYSE: CVX) want – expertise in the hydraulic fracking and horizontal drilling methods that are used to extract oil from North America's vast shale reserves. And many of these takeover targets are companies based in North America. "The main opportunities to profit from M&A (mergers and acquisitions) will be in the U.S. and Canadian markets," said Money Morning Global Energy Strategist Editor of theOil & Energy Investor Dr. Kent Moors. Ironically, many of these small companies developed their expertise after buying assets the majors sold as soon as easy-to-reach deposits were tapped. Many of those assets contained shale oil, which is much harder and more expensive to extract. But since the global price of oil is high enough to make shale oil drilling profitable, the oil majors have been seeking out smaller players to retrieve their assets and expertise. "These shale prospects are exploration frontiers and the big international players see them as a runway to growth," Mark Hanson, an analyst at Morningstar Inc. told Bloomberg News. Shale oil becomes profitable when global oil prices are in the $70 a barrel range. The higher the price of oil goes, the more attractive shale oil formations become. The price of West Texas Intermediate (WTI) averaged about $95 a barrel in 2011, but will keep rising. Moors believes oil will reach $150 a barrel as early as this summer. So the big oil companies, with billions of dollars of profits burning a hole in their deep pockets, have plenty of motivation to shop around. For investors that means they need to stake out their positions before all the buying starts. That's the only way to take advantage of the sudden jump in the stock price that occurs when a takeover deal is announced. Luckily, several oil sector analysts have already identified the most likely takeover targets. According to Subash Chandra, an analyst specializing in energy stocks for Jeffries Group Inc., the stocks to watch are SM Energy Co. (NYSE: SM) and Oasis Petroleum Inc. (NYSE: OAS). "With independents being bought out, these two have the credentials that buyers are looking for," Chandra told SmartMoney. Another oil sector analyst, William Featherston of UBS AG (NYSE: UBS), screened 40 potential takeover targets for the best combination of desirable characteristics. Traits that would appeal to the big oil suitors include untapped energy deposits and the financial ability to extract those deposits. Featherston agreed with Chandra's choices, and came up with several more: Texas-based Anadarko Petroleum Corp. (NYSE: APC), Houston-based Cabot Oil & Gas Corp. (NYSE: COG), and Southwestern Energy Co. (NYSE: SWN). For investors who'd like exposure to the entire group, there's also an exchange-traded fund (ETF), the Powershares S&P SmallCap Energy Portfolio (Nasdaq: PSCE). Those who want to cast an even wider net can try the IQ Global Oil Small Cap fund (NYSE: IOIL), which also includes small oil companies outside the United States. Meanwhile, Money Morning's Moors advises investors to look for small companies who already are operating successful oil shale fields, have good prospects for expansion, and are well managed financially. "On average, we will once again find that small companies that satisfy these criteria tend to produce higher return for investors than larger vertically integrated oil companies," Moors said. Moors also advises investors not to overlook what he considers the most promising players in the oil industry, the midstream providers, which are involved in the transportation and storage of oil, and particularly Master Limited Partnerships (MLPs). "The market will produce a rising number of pipeline, processing, gathering, and storage facilities mergers, with the position of MLPs and the equity issuances from them, becoming even more decisive," Moors said. For more information on shale oil investment opportunities, you can sign up for Moors' free newsletter the Oil & Energy Investor by clicking here. wnwg.pk, I think that means it is owned by Canada? Cheryl, please contact me about anything you have found out about Lackamana shares, I also found recent certificates of shares. Anyone ever heard of the lackamana oil shale products co. I have some old shares and wonder if they are worth anything. Where can I get a list of companies that are drilling for shale oil? US Oil and Gas,(USOP) through it's wholly owned subidiary, Major Oil, it may not be drilling shale, but is in Nevada embarking on a life changing drilling campaign. *ONLY 41 million shares in issue!! A February 2012 Competent Person's Report by Forrest Garb & Associates estimates Gross Prospective Resources of 189 MMSTB OOIP (P50) and 67 MMSTB recoverable oil based on data from the Company's pre-December 2011 lease area. US OIL’s geological, geochemical and passive 2-D and 3-D seismic surveys show five precisely located hydrocarbon reservoirs, and the company has identified its first drilling targets. US Oil & Gas has less than 42 million shares in issue. US Oil is fully funded to drill three wells. US Oil’s lease area is close to Railroad Valley (10 miles), which has produced over 50 million barrels. A drilling contract has been signed with Nabors Industries Inc.
A Permit to Drill has been awarded by the relevant authorities (20 March, 2012). Earth mobilisation and site construction at the location of the Eblana #1 exploration well began on April 3rd 2012. Spudding-in is scheduled for May 1st 2012. The company anticipates working with Forrest Garb & Associates as independent processes and data auditors throughout the forthcoming drilling campaign. Their role will also include devising and maintaining the Company's data store. The unit cost of extracting oil in Nevada is amongst the lowest anywhere. The Hot Creek Valley lease area is close to a highway and two refineries. As a result, the viability of the field is minimally sensitive to the oil price. A discovery in the US, the world’s largest oil market, would be situated in one of the most politically stable, well regulated and secure exploration areas in the world. NOTE: OOIP figures are those estimated by Forrest A. Garb & Associates, February 2012. US OIL & GAS UPDATE. has reached target depth of 8550ft and encountered oil bearing zones totaling 1100ft and porosities ranging from 14%~28% flow testing of the well has started and results are expected by month end. Us oil and gas plc ( USOP ) Is seaking to enable american investors to get on board by way of ADR's American Depositary Reciepts. Obviously nothing is garaunteed but confidence is very high on this being a huge commecial success.